Here's another Biotherm challenge for you to win back wonderful Biotherm products for X'mas this year! How to win? Simple, be a Biotherm Malaysia fan and just upload a creative picture of you with any Biotherm branding. Get your friends to vote by clicking "like" to the picture. Those with most like will be qualified in the finale where Biotherm Malaysia will choose the Top 3 winners! In Biotherm, we enjoy the spirit of Giving, so join now! 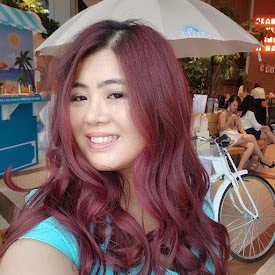 p/s: Nowadays beauty brands are smart enough in their marketing technique by facebook to get free publicity! 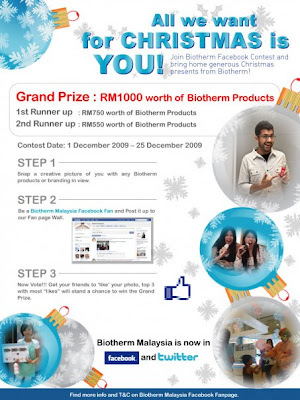 The prize by Biotherm is quite attractive , RM100o worth of Biotherm products !! !